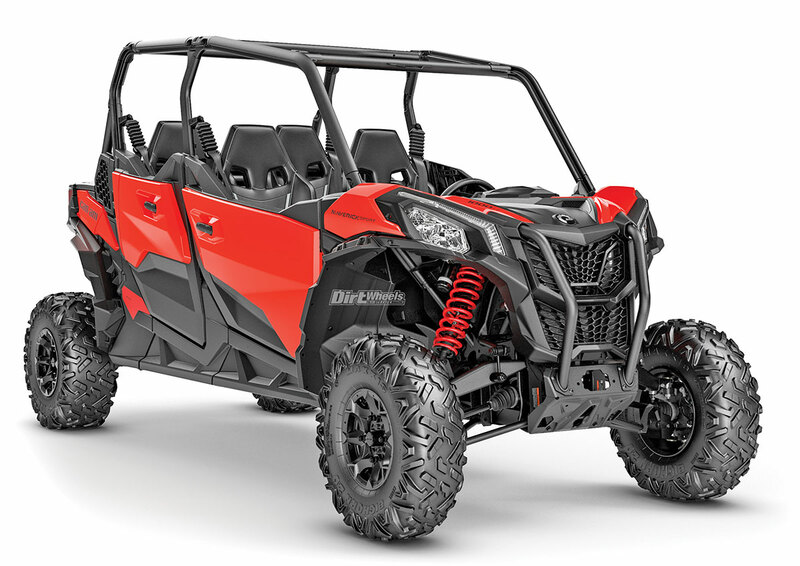 Can-Am consistently pushes the envelope with their ATV and UTV lines. 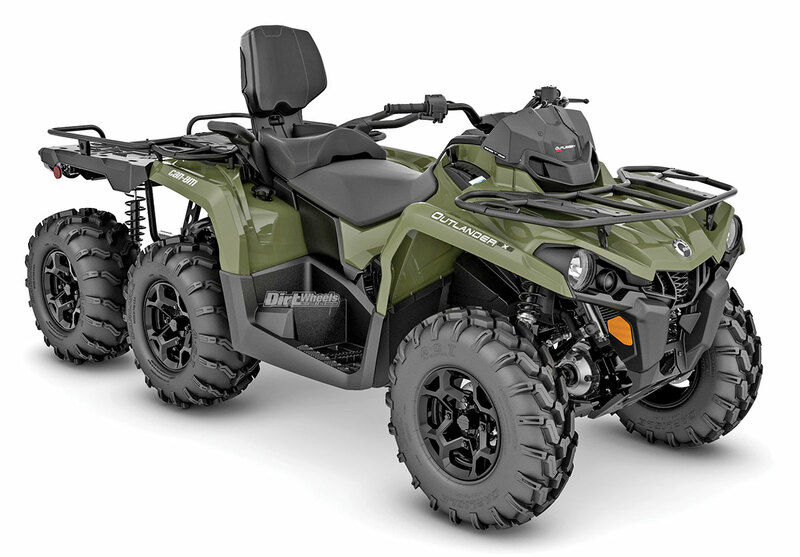 We thought they provided enough great upgrades on the Outlander and Renegade ATV lines to keep us four-wheeler riders enthused for 2019 models. They even introduced the impressive new 60-inch-wide Maverick Sport model that is based on the Maverick Trail. Can-Am couldn’t stop there for the year. No, instead they had a late introduction of models that includes the all-new four-seat Maverick Sport Max DPS 1000R! The new Maverick Sport X rc is designed to battle through the harshest desert elements. It comes with a 4500-pound winch in case you get stuck. The Maverick Sport X rc has more wheel travel and a 4-inch-wider stance than the base Sport model. It comes with protective bumpers and skid plates for rock crawling. 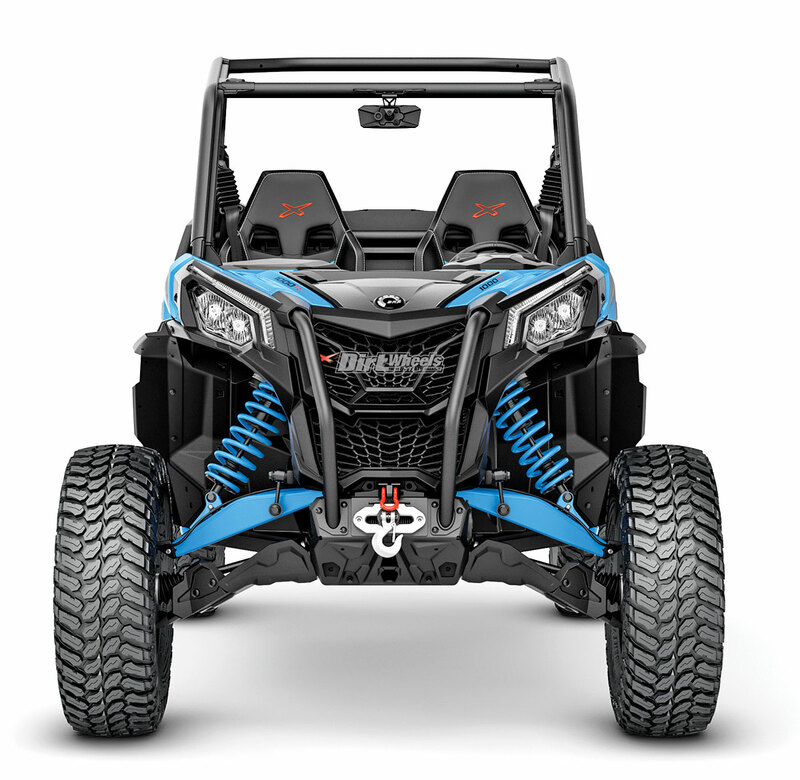 The next terrain-specific addition is the Maverick Sport X mr. It shares similar width and height dimensions as the rc, but it is designed to go deep in the mud. A set of ITP Cryptid 30-inch tires are ready to claw through the thick, and a snorkel system is implemented to keep your ride breathing right when you bury it deep. Like the X rc, the X mr has a fully locking front differential, so you have a greater chance climbing out of the pits with ease. The machine has 15 inches of ground clearance, and it also comes with a 4500-pound winch. Additional fender flares were added to the X mr to try to keep the collateral mud spread into the cockpit to the minimum. The Maverick Sport X mr starts at a price tag of $20,999. The all-new Max shares the same Rotax 1000R engine as the Sport DPS 1000R model, and it comes standard with electronic power steering. 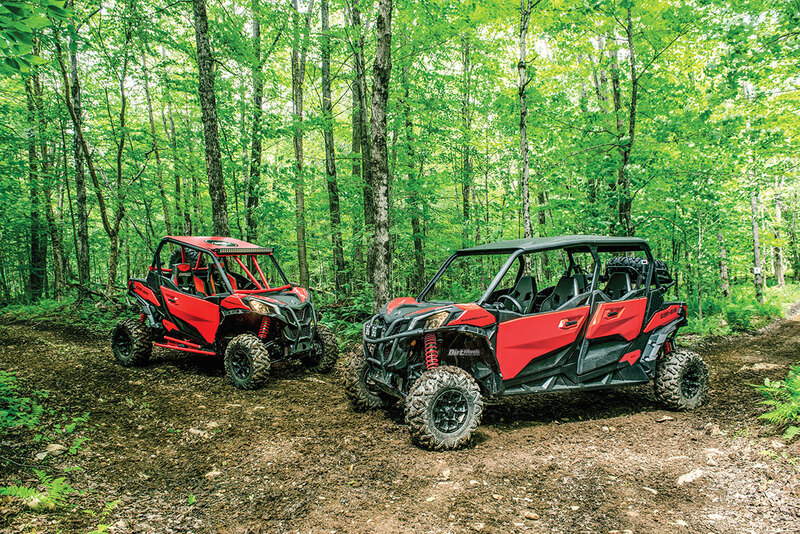 The all-new Maverick Sport Max DPS 1000R is the cherry on top for the lineup. Can-Am couldn’t let Polaris keep a stronghold on the 60-inch sport market in either the two- or four-seat class. The new Max shares the same potent V-twin engine as the Sport, with the ability to change driving modes for a smooth or sporty power output. Up to four people can enjoy this vehicle at a time, and the price tag is a reasonable $18,999 for a starting price. Fox 2.0 Podium QS3 shocks come on each corner, and the power steering system has three different modes you can choose to suit your driving style. Can-Am already has over 200 accessories ready to go for this machine too. Another new edition to the Sport line is the X mr. It comes with a snorkel setup for going deep in mud and water and has a 64-inch-wide stance for stability. Another new model upgrade for this late 2019 release is the Defender Max X mr. This six-seater rig is designed to dwell in muddy bottoms and provide a great time with your friends or family. 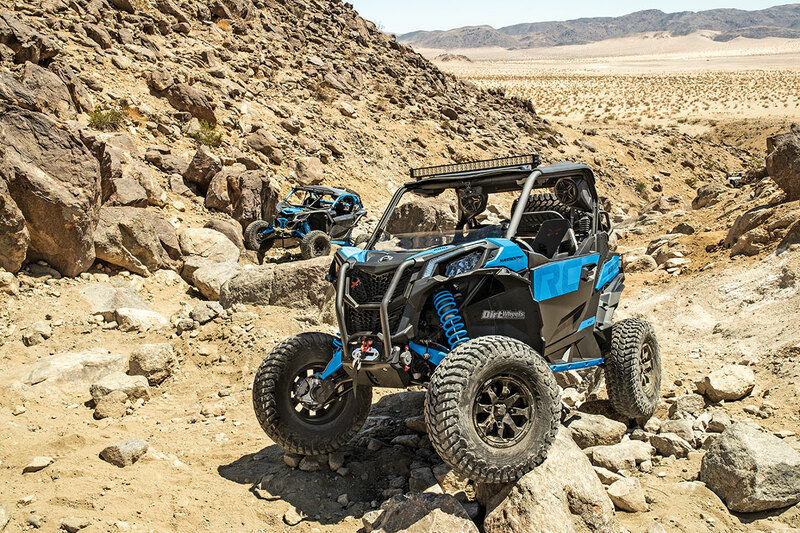 Just like the Maverick Sport line, the utility Defender Max X mr gets additional width and ground clearance with more suspension travel for a smoother ride. Mud tires are included in the package, along with a winch to get you unstuck along the way. The 4×4 system has multiple modes, and one of which is a front fully locking differential mode. Fox shocks, and full net doors are a few more benefits to this mud-specific model of the Defender. A brilliant yellow and black color scheme comes on this machine. 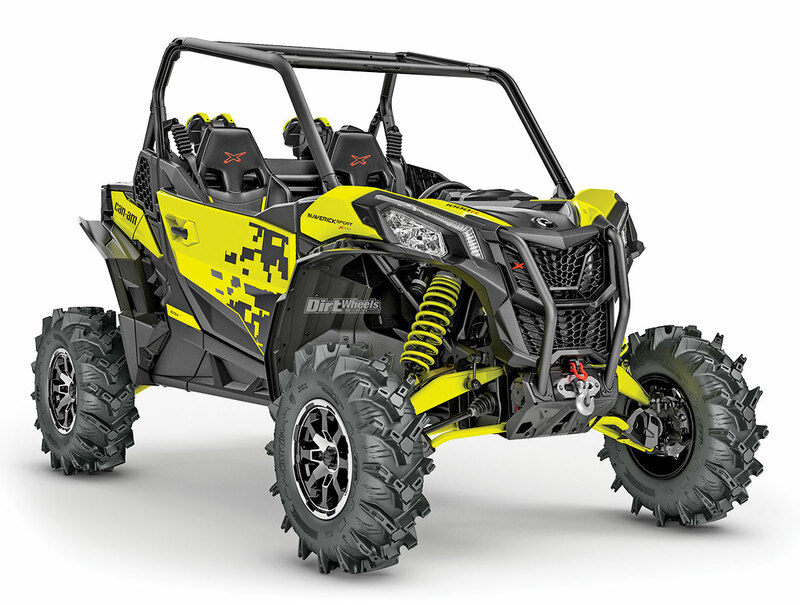 Can-Am’s Maverick Sport Max DPS 1000R allows you to take two more riders along for the fun rides in tighter trails. Finally, Can-Am released the Outlander 6×6 450 at their September dealer show. The engine is a 427cc single-cylinder mill that has 38 horsepower pushing all six wheels. Sometimes the trails are too narrow to fit a wide machine but you still need to utilize the capabilities of a cargo platform. That is exactly what this ATV is designed for. It can hold 350 pounds of cargo on the rear bed, and the transmission has a reduced low gear to help you haul. The machine has a rear passenger seat with a back rest and hand-holds. To help you control the length and weight of the machine is Can-Am’s dynamic power steering that has three strength modes you can toggle through. This machine will run you a starting price of $9999. 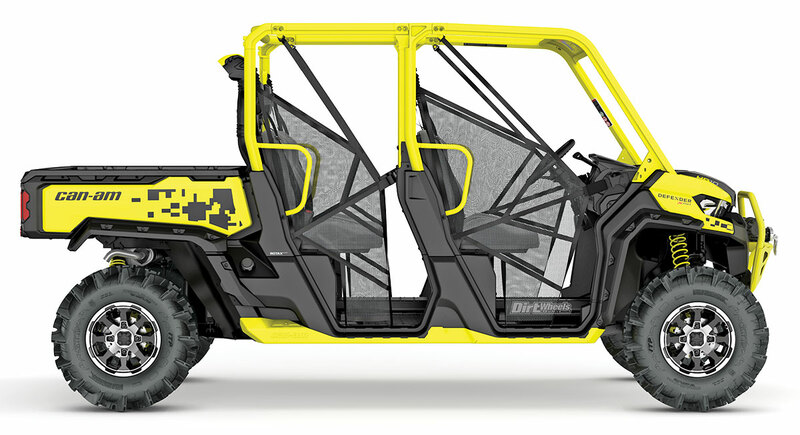 This is a muddy-fun-inspired utility UTV that wants to go out and play after getting work done. The Defender Max X mr has 30-inch ITP mud tires on it. Can-Am constantly keeps us on our toes with their model line-ups. Every six months they plan to release a UTV model upgrade or an all-new addition. We can’t wait to see what is next! Go to www.can-am.brp.com to check out all of their impressive machines. 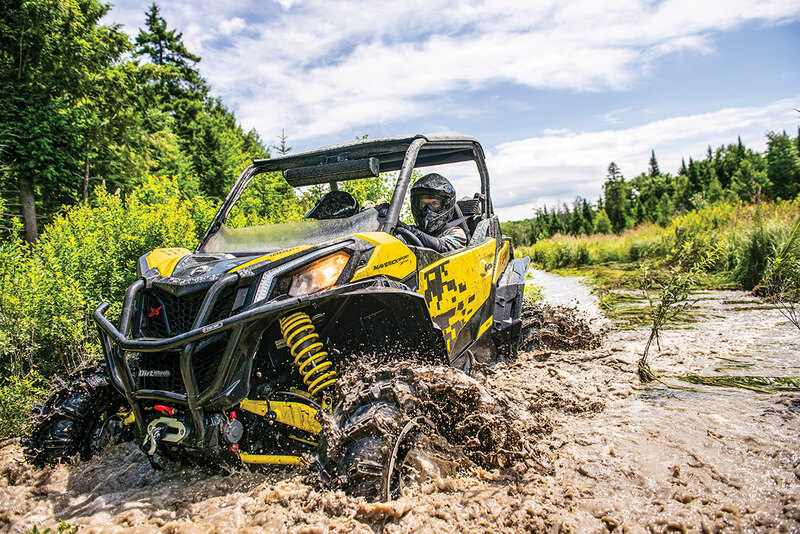 Can-Am’s new Outlander 6×6 450 is made for the tough tasks around the ranch. It can hold a passenger, as well as up to 350 pounds on the cargo bed.